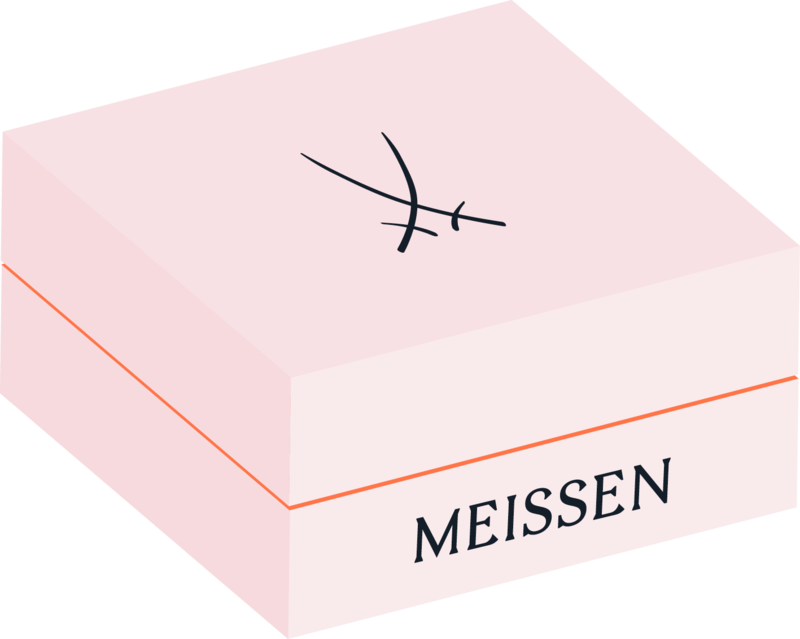 MEISSEN occupies a unique position amongst porcelain makers worldwide. As the oldest porcelain manufactory in Europe, founded in 1710 by King Augustus the Strong, the dining services, sculptures and objects created by Meissen have been trailblazing since the very beginning. 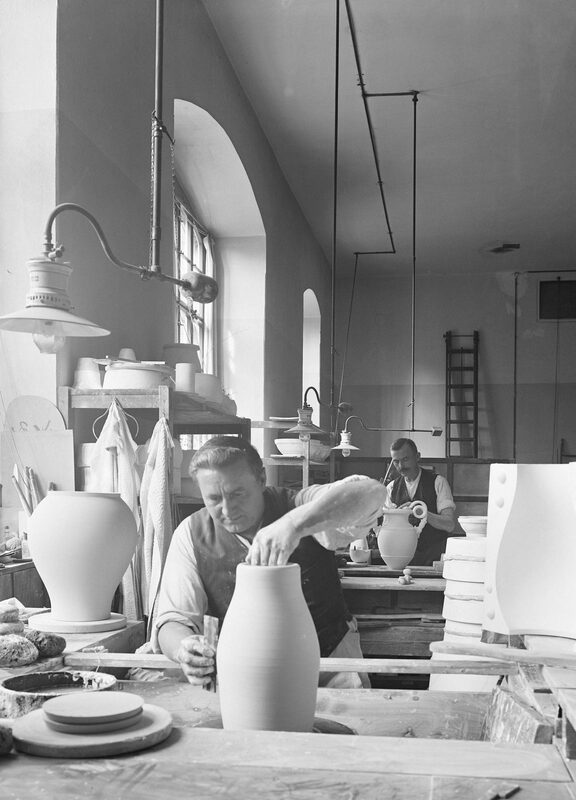 The manufactory's worldwide renown is rooted in artisanal expertise and centuries of artistic tradition, beginning from Meissen’s Baroque period, which laid the foundation for a design language for European porcelain, iconic floral painting and the “Onion Pattern”, all the way to the new animal sculptures of the 1920s. In every era, the Meissen manufactory gave rise to some the most significant porcelain artists of the time, whose masterpieces both then and now are produced entirely by hand. Their works reflect not only the great variety of artistic epochs, but also the boundless creativity and curiosity that continues to stoke the creations in Meissen Triebischtal to this day. Since the beginning, the Meissen manufactory has broken new ground in the creative possibilities of porcelain, drawing on a rich trove of inspiration from its own history at the same time. Whether in collaboration with external artists and designers or in the re-examination of historic decoration styles and forms, it is always the combination of traditional handicraft and engagement with the creative issues of the present moment that has fuelled the innovative strength of the manufactory and continually driven it to new artistic heights. Thanks to the archival work of the manufactory the large majority of Meissen's original models are preserved to this day, enabling the reproduction of centuries-old figures true to the original. Meissen porcelain and its insignia the two Crossed Swords are synonymous around the world with the highest-quality porcelain and exceptional craftsmanship. It is a renown that continues to reverberate in the denotation Vieux Saxe. To ensure this quality, every production step continues to be performed at one single site. 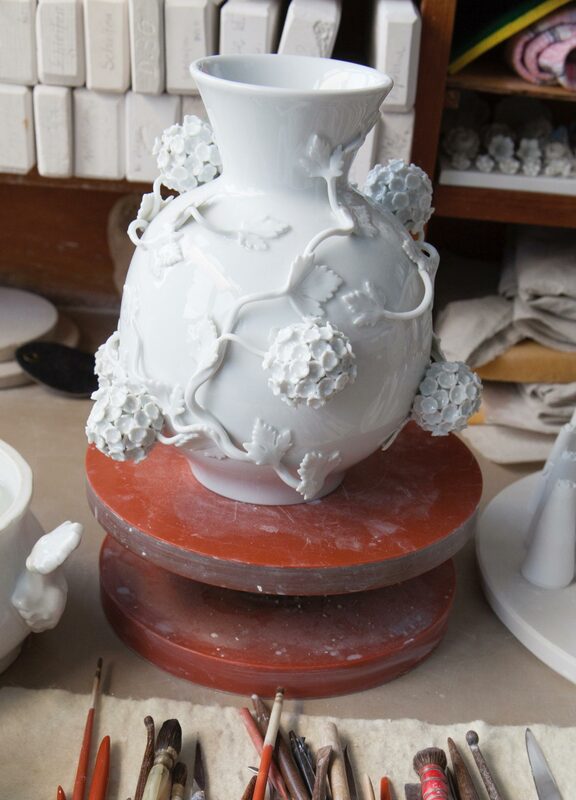 The porcelain paste is produced from the manufactory's own clay in accordance with traditional techniques, then formed and refined until receiving its final form in the kilns. The in-house laboratory creates all Meissen porcelain paints on the basis of historic and new formulas to ensure the vibrancy and fidelity of Meissen porcelain items. It is this well-honed craftsmanship and preservation of tradition that makes possible Meissen's unsurpassed creative hallmarks: an abundance of details, original designs, and radiant colours that to this day only exist at MEISSEN.